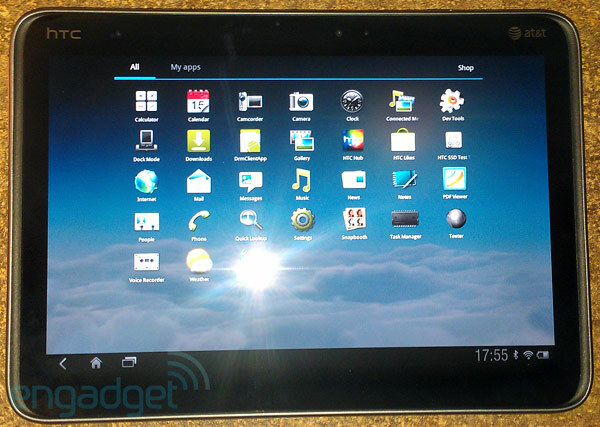 This is a picture of the first AT&T tablet with full 4G LTE support, the HTC Puccini. The picture was sent to Engadget by an anonymous tipster who says the tablet is currently being tested and will be released soon. It is confirmed that the processor use in this Android-based tablet is a 1.5GHz processor, packed with 1 GB of RAM, and running on Android Honeycomb OS. This slate features a 16 GB of storage and a 10.1-inc WXGA touch panel. One day we will see an iPad with this specs and with LTE support, right Stevie?